Private television channel, RaajjeTV has been fined MVR 2 million for broadcasting content which threaten national security. “Sun” has been informed Maldives Broadcasting Commission fined RaajjeTV over the contents of a speech during its broadcast of a protest held on March 16. It is unclear whose speech the station was fined over. 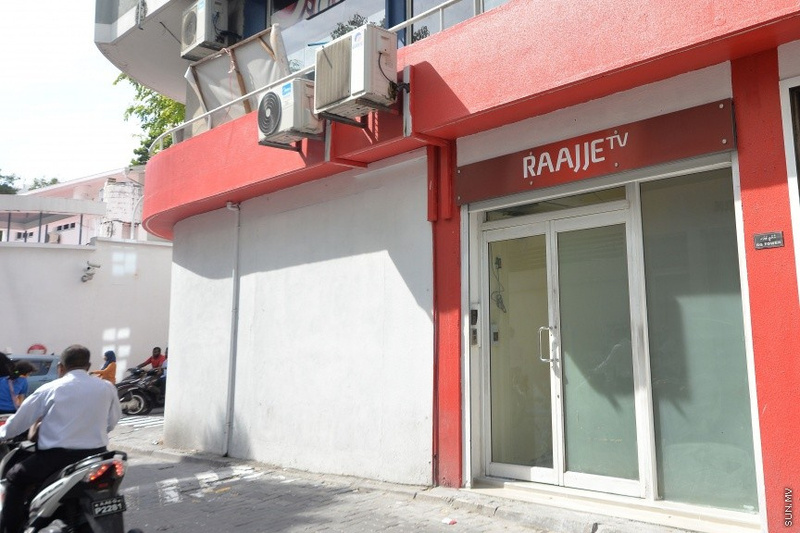 Maldives Broadcasting Commission made the decision to fine RaajjeTV during a meeting held this Wednesday afternoon. “Sun” has also been informed RaajjeTV was provided with the opportunity to answer to the charge. However, CEO of RaajjeTV, Fiyaz Moosa reports the station has not been informed it has been fined. RajjeTV has been pressed with huge fines in the past as well. It includes the MVR 500,000 fine statements made by Thimarafushi MP Mohamed Musthafa during a RaajjeTV show which Maldives Broadcasting Commission ruled promoted illegal overthrow of President Abdulla Yameen Abdul Gayoom’s administration; and the MVR 1 million fine for broadcasting slanderous content regarding Yameen.